Humankind may be able to reach further back into the history of its nearest planetary neighbour, unlocking the secrets to the evolution, climate, and habitability of Mars, thanks to the efforts of a Western-led team tapped to improve NASA's rover technology. Earth Sciences professor Roberta Flemming is leading a team of researchers to develop a compact instrument that could be deployed on rovers to analyze mineral and rock structures in place on the Red Planet's surface, wherever they are found. The project is backed by the Canadian Space Agency (CSA). "We are looking at the record of the planet. Minerals tell us the story of the planet's geological history," said Flemming, a member of Western's Centre for Planetary Science and Exploration. "This project could give us a deeper, richer data set to understand that history." On Earth, X-Ray Diffraction (XRD) is the primary technique to determine the mineralogy of rocks and other natural materials. 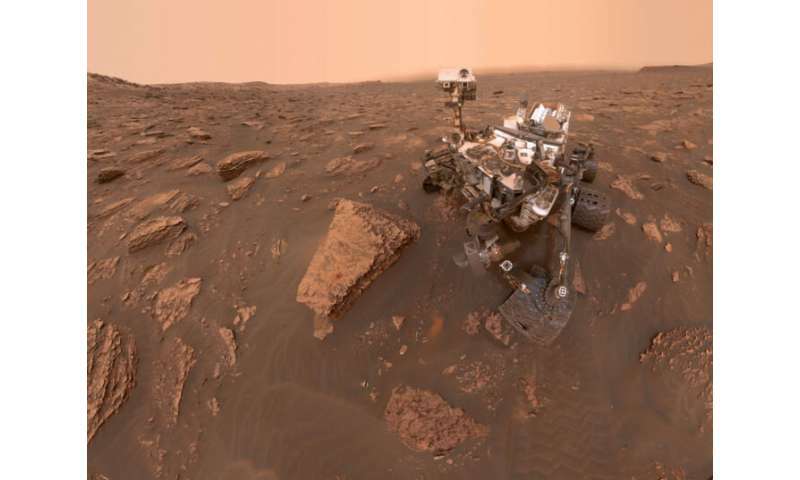 XRD is currently being used on Mars with the CheMin – short for chemistry and mineralogy – instrument on NASA's Curiosity rover. That technique, however, requires the rock to be crushed into a powder for study, thus consuming power and rover time and also destroying critical information about the relationship between the minerals in the rock. A decade ago, Flemming had the idea for a better rover-based solution. She proposed the development of a miniaturized in situ XRD (ISXRD) for use on the Martian surface – an instrument that could examine rocks in greater detail without disturbing or destroying them. These scientific instruments would rival those that exist in labs here on Earth. Currently, several rover-based instruments measure chemical information from the rocks, Flemming explained. But chemical composition alone does not provide a complete picture. As minerals in rock record its history, cleaner data are necessary to get a picture of the planet back to its origin. Her idea could provide the deepest data set ever for these material. "Everybody knows I have been talking about this for years," Fleming said. "When this competition came up, I had to put my money where my mouth is." For the 18-month study, Flemming and her team from Western are working with others from Brock and Guelph universities, along with Canadian companies PROTO Manufacturing and MDA. The team will use Martian analogue rocks (Earth rocks with minerals common on the Martian surface) and Martian meteorites to compare results from Flemming's micro-XRD lab at Western with results using various rover-candidate miniaturized X-ray components and geometries tested by PROTO in Windsor. Fleming explained that the work will lay the foundation for a far more capable X-ray diffraction instrument to be used in future Mars exploration – or anywhere else a remotely-operated robotic rover might be deployed, including remote regions of Earth for environmental science or resource prospecting. There have been four successful robotically operated Mars rovers – Sojourner, Opportunity, Spirit, and Curiosity. In July/August 2020, NASA will launch the Mars 2020 rover. Instrumentation for Mars 2020 is already set; any advances put forward by the Western study would apply to future missions.